From India to Persia. Alexander The Great’s Return. Alexander the Great achieved many things throughout his life, a life that stretched from 356 BC to 323 BC, by most estimates. His reign ran from 336 BC to 323 BC, and much of that was spent on campaigns to conquer the world as Alexander knew it, even though his maps were incorrect about the world’s edge (“Indian campaign of Alexander the Great” 2018.) After Alexander had conquered Persia in 326 BC, he set his sights on India. The Conquest of India began in 327 BC and ended with Alexander returning home without conquering India after the battle of the Hydaspes River and the mutiny of his troops. After allowing himself to be persuaded by his troops and the signs that the gods were forcing him to turn back, such as an eclipsed moon which was a bad omen at the time, Alexander had to make a plan of how to return. If he returned through what was likely the easier route, through the kingdom of Porus, Pauravas, to Taxila and Gandara, he would be able to easily reach Alexandria in the Caucasus. But he risked looking like he had failed if he took that route. Therefore, he decided, in the end, to go to the ocean and utilize his ships to get back to Persia and Babylonia. This path would take them west, back to the Hydaspes river, with Alexander founding cities on the way. Once enough ships had been built, Alexander and his men could finally leave, with the fleet being escorted by two armies who marched on the west and east banks, but all did not go according to plan. They lost many ships and many more lives during the attempt. The Indus river which Alexander followed was populated by many people, who, unlike most, resisted Alexander’s control and conquest. Those who resisted met with a destructive, merciless genocide and found themselves under control of Alexander in the end. Those who were left, quickly surrendered and Alexander continued his journey home. Alexander continued southward, attacking and conquering all who were unlucky enough to end up in his path. However, he wanted to continue his journey up to the nearby sea when revolts prevented him. He continued his journey home. “One of the armies that was sent out to suppress the rebellions was commanded by Craterus, and was under orders to continue to the west, through the Bolan pass to Carmania and Persis. He commanded about a third of the army, including the war elephants; this means that Alexander did not want to expose all his men to the dangers that were ahead. After all, a large part of them would have to march through the Gedrosian desert, others were to sail along the almost unknown shores of the Indian Ocean and Persian Gulf(Lendering 2017).” His troops suffered greatly in the desert, but the natives of the desert suffered more so. However, they made it through and Alexander returned to Babylon where he resided for his final days. Before exploring the conquests of Alexander the Great it is important to know how the Macedonian army functioned. There were two main sectors of this army the infantry and the cavalry. The infantry would have made up the bulk of the army, they were the foot soldiers, known as pezhetarios in Greek. The sarissa was the primary weapon of the heavy infantry, it was essentially a long pike. It had a sharp blade of iron on the offensive and and a spike on the opposite so that it could be braced on the ground during an attack. The spike also acted as a counterbalance for the sarissa, as the weapon was several meters long (English 16). Because of the weapon’s length it was purely an offensive weapon, and was ineffective for defense. The effectiveness of this weapon was vital to the formation of the troops that wielded it. They fought in an improved phalanx formation, every member of the phalanx would have had a sarissa of the same length, allowing for the formation to create an impenetrable wall of spears. Should a break occur in the wall of spears they lost nearly all effectiveness (English 7). The infantry troops that traveled with Alexander were highly trained on how to fight and move on any terrain, something that was a weakness in for less trained soldiers fighting in similar fashion. While traveling it is likely that the weapons were carried by the baggage train, as marching with the lengthy weapons would have been impractical, if an attack was suspected the weapons would have been carried vertically by the infantrymen. In situations were the sarissa would have been an impractical weapon a hoplite spear or javelin would have been used. The infantry wore very little armor to increase mobility. They wore only a small shield that attached to their arm and shoulder, so their could wield their weapons with both hands (English 25). Much was asked of the infantry and by the time they reached India they were exhausted from the fighting and travel. When they reached the Hyphasis river they revolted against Alexander and his desire to reach the ocean. They refused to march forward and as a result Alexander eventually agreed to turn back, claiming that he had received a message from the gods that continuing the campaign would be unfavorable. He still insisted that they still sail down the Indus to the Southern Ocean and return home from there (Worthington 251-253). Alexander’s cavalry was instrumental in his success during his campaign. The cavalry was the main strike force of the army. They were divided into two sections. The first were known as the prodromoi, they were the lighter cavalry, they were typically used as scouts and surveyors. The other section consisted of the Companion cavalry, they were used more directly in battle (Wasson). The cavalry were armed with a shorter version of the sarissa, called a xyston, that would have been easier to wield while riding, though it was stated to be no less than 8 cubits long, or about 3.5 meters. This weapon had a spear point on each end, so that if it were to break, the rider could turn it around and still have a weapon, it was light enough to be thrown as a javelin (English 56). In addition to the xyston they also carried a sword for close combat. A sizable portion of the cavalry during the campaign to India would have been comprised of previously Persian cavalry. It is likely that they were incorporated into the cavalry from early on, and did not have separate ranks. Part of what made Alexander’s cavalry so successful is that members of each section were able to perform the tasks of the other without much trouble, this allowed for exchange of riders to perform whichever task was needed. The versatility and training of Alexander the Great’s army is what lead to his great success throughout his campaign. Alexander the great took approximately 120,000 foot soldiers and 15,000 cavalry into India and returned with barely a fourth of them (Plutarch). Alexander disband the expensive and unruly mercenary armies hired while in Asia and replaced with native soldiers (Bosworth, 148). These new armies were tasked with maintaining newly conquered lands in Alexander’s name and did not make the return trip. This left 48,000 men marching toward the coast. After the mutiny at Opis, which forced Alexander to cease expanding his empire east, he was bitter toward his men and commanders. This showed in his treatment and choices in moving his army back to Persia and eventually Macedonia. He chose a meandering path that separated him from many of his commanding officers. Veterans were dismissed and given land in Asia as reward, with very little hope of returning home (Bosworth, 3,5). There were many more battles on the way back to Macedonia. During one, known as the siege of Malli, Alexander had received his reinforcements of 30,000 infantry and 6,000 cavalry (Worthington, 253). With his numbers replenished with men from Greece, Thrace and Babylon, he laid siege to Malli. 6,500 foot and 2,000 calvary went north with Alexander, including mounted archers, the rest were divided between Craterus, Philip, Hephastion, and Nearchus to attack the city from all directions (Worthington, 254). During battle Alexander was shot in the chest and out through the neck and his men, upon seeing their king lying prone in his own blood, went into a rage winning the battle by genocide (Plutarch). At various stages of his recovery, Alexander bolstered his mens’ courage by riding and walking among them, some were moved to tears and cheering (Worthington, 256). Upon reaching the coast the army was divided, 18,000 were to return by boat under the command of Admiral Nearchus (Bosworth, 145) while Alexander lead the remaining 30,000 by a southerly route (Bosworth, 142). This division was to keep Nearchus, and other high ranking officials, from further influencing soldiers against Alexander (Plutarch). However, he didn’t have to worry about maintaining support from his men. Despite their insistence on abandoning the campaign, they remained notoriously loyal. Alexander allegedly lead his portion of the army through the Gedrosian desert to establish his historical dominance over “previous rulers, such as Semiramis, Queen of Assyria, and Cyrus the Great, who had lost almost all of their men” (Worthington, 261) trying to cross. This decision is widely cited as the biggest military blunder of Alexander’s reign (worthington, 261). During the difficult journey through Gedrosia the wounded and ill were left behind to either die or recover and follow to army later (Plutarch). At this point, while still engaging in battles, these was very little recruitment happening while still in Asia. The army would have consisted of primarily macedonians and persians trained like them, with a few native soldiers to aid with terrain and field medicine specific to the area (Bosworth, 5,7). The home army of Macedonia had been ordered to meet the returning army in Persia to help squash a forming rebellion (Bosworth, 148). An army is only as good as it’s soldiers, and soldiers need food, water, and armor. With an army of 30,000 men, there had to be plenty of supplies in order for Alexander the Great’s campaign to be successful. On the way back from India, Alexander decided to cross the Gedrosian desert. This came with many hardships having to do with food, water, and other supplies. It is helpful to note that the Macedonian soldiers were required to provide their own armor, which was often passed down through generations. However, this was not always a possibility. Alexander accounted for this and ordered 25,000 pieces of armor to be delivered to India for the soldiers (MILHISVIS). This should have provided for the clothing needs of the army for the conquest of India and the return home. Alexander the Great’s return from India was met with many hardships while crossing the Gedrosian Desert. According to Plutarch, when Alexander’s army first came to Gerdosia, “[They] found great plenty of all things, which the neighboring kings and governors of provinces, hearing of his approach, had taken care to provide. When he had here refreshed his army…” (44). This would have given the army rest before crossing the desert and supplied them for the journey. However, water and food rations were scarce, and many soldiers and pack animals died from dehydration and sun exposure during the crossing of the desert. Water was especially a concern while marching across the dry sand dunes. Alexander tried to stay close to the coast, but there was never a guarantee of when they would find drinkable water. Once they found a water source, Alexander would often make his camp a few miles from it. He did this because the soldiers were so thirsty that they would drink too much or fling themselves into the pool or stream and end up drowning themselves which contaminated the water for everyone else (Nicomedia). Alexander, however, was not oblivious to the struggles of his army. One famous story relates how scouts who were sent ahead to search for water came back and put some of the water they brought back into a helmet. As soon as Alexander received the helmet of water, he poured it onto the sand in front of all his troops because if they couldn’t drink, neither would he. This was said to have rallied his army enough that it was as if they had all drunk from the helmet (Mensch 262). Food was another concern while crossing the Gedrosian desert. At one time Alexander and his army came across a place in Gedrosia that had a lot of grain. Alexander sealed as much as he could of this to send to his other troops. However, the soldiers, being so overcome with hunger, disregarded Alexander’s wishes and ate the grain themselves. Instead of punishing them, Alexander pardoned them and requested that more grain be ground so that the soldiers could purchase it (Mensch 259-260). It was also common that soldiers would kill one of the pack animals once the supplies it was carrying ran out and claim that it died from exhaustion or dehydration so that they could eat it (Nicomedia). Crossing the desert was a long and difficult journey. Soldiers often became desperate and acted purely out of extreme hunger and thirst. Through Alexander’s leadership and understanding of the hardships he was putting his army though, his troops made it across Gedrosia despite the lack of proper provisions. The people of today often take for granted how much easier things have become for them because of the rise of technology. Even now, computers, smartphones, and the Internet allows for almost instant knowledge of whatever suits their fancy. And often, that information is correct, and people can discover why it is correct with just a twitch of the wrist. However, in older times, this was not the case. For seafaring folk, the secret was staying in sight of the land, where they could line up landmarks to the distant shore to figure out where they were going (Tyson 1998.) But that could only get people so far. Those who wanted to travel would have to rely on other things, such as celestial navigation, which utilizes the stars at night and the sun in the daytime (Whitaker 2012). This was a relatively easy navigation due to the fact that required very simple knowledge of the skies above. Ironically, in this day and age, celestial navigation would be all but impossible for those without extremely good vision or tools, due to light pollution. And these techniques were enhanced by the development of charts, and tools to track and record the observations of the heavens, even when they were out of their depth. They developed the mariner’s compass, which utilizes magnetism to work. However, these were often incorrect due to the lack of understanding of magnetic variation (Wells 2016.) Therefore, the variety of options gave those who wanted to travel some ability to do so, but they were only as good as the tools and knowledge that created them. Alexander the Great’s baggage train consisted of either two-wheelers, four-wheelers, or six-wheeler carts with horses, camels, and “under-the-yoke” animals (also known as oxen carriages) (Hammond, 2011). Alexander the Great acquired many treasures during his way to India. On his way back, he tamed Indian Elephants with the help of Indian Elephant Hunters to add to his treasures and baggage train (Kimmich 300). Although two elephants were killed in this hunt, the rest were added to Alexander the Great’s treasure. These elephants numbered to at least 30 (Kimmich 300). He had his troops create ships from wood that numbered to be a fleet. The fleets had to be enough to carry up to 3000 sacrificial animals, 10,000 sheep, the 30 acquired war elephants, 200 talents of silver, 700 Indian Riders, and the rest of his troops (ranging from 13,000-14,000 infantry and 3,000-5,000 cavalry) (Kimmich 300, 470, 471). During Alexander the Great’s conquest from India and going back to Persia, it was known that he would leave some spoils of war in cities or areas where he was dubbed royalty or was defeated (Gogiashvili 199). This decreased how much his troops had to carry back to Persia but not by a lot since he was known to still carry a lot of his spoils. He would also celebrate each victory and use his sacrificial animals for the occasions (usually when he won battles or dubbed of royalty) (Kimmich 300). Alexander the Great was known to have a large army, but a lot of the troops died from storms and harsh weather (Kimmich 332). This affected how much his supplies needed to be tossed to maintain the pace of the army. However, his army and supplies would always be replenished via gifts, foreign recruits, and spoils of war (Kimmich 331). So his baggage train always fluctuates depending on the location, weather, and where his troops stand in inhabited areas. With the deaths of many troops, losses of battles and skirmishes, and daunting trails and roads, Alexander the Great’s baggage train formation was fantastic at keeping his troops’ morale high enough to push through the negativity. Each calvary was restricted to once calvary to one groom to move wagons of their loot and it was reported that high officers would bring lute girls to raise morale and relief stress from the long marches in full heat and equipment (Kimmich 32). It was also noted he would leave some baggage trains behind or hidden for days during battles and skirmishes (Kimmich 30). Alexander the Great would abandon some baggage trains in larger battles. He would say to his troops that if they don’t overcome the enemy by any means necessary, their baggage train would mean nothing to them if they were dead. But if they succeed, they wouldn’t need their baggage trains anymore since they would have their enemy’s supplies and baggage (Kimmich 497). For battles, Alexander the Great’s enemies would always be up against veteran troops under the direction of a military genius who is in a do-or-die situation and is willing to do anything to win. This always set up Alexander the Great to rise in almost all situations. In general, Alexander would have strict, quick marches, blitzkrieg battles, and tossing/abandoning of baggage trains during his trip from India to Persia. The delays to his trip back were definitely weather, troops dying, and terrain such as desert hills (Hammond, 2011). The pace was quick but had a lot of setbacks. A lot of our sources were historians or historians/translators sourcing histories. Johann Gustav Droysen is a notable German historian who studies Alexander the Great’s conquest from Persia to India with Flora Kimmich translating his works. Kimmich also translated other novels such as Wallenstein and Fiesco at Genoa. Plutarch, a notable Greek-Roman biographer and Arrian of Nicomedia, a notable Greek historian both studied Alexander the Great and are both hailed as some of the best sources for Alexander the Great’s biography and life. Some of our other sources are organizations or bloggers are professionals in the history field or is citing sources who are experts in the field. Military History Visualized is run by an Austrian who has a Master of Arts in History from the University of Salzburg (Austria) (MilHisVis FAQ). Alexander the Great rode Bucephalus, a “horse with fire-breathing nostrils” (Gogiashvili 204). Bosworth, A. B. “Alexander the Great and the Decline of Macedon.” The Journal of Hellenic Studies, vol. 106, 1986, pp. 1–12. JSTOR, JSTOR, www.jstor.org/stable/629639. English, Stephen. The Army of Alexander the Great. Pen and Sword, 2009. EBSCOhost, hal.weber.edu/login?url=https://search.ebscohost.com/login.aspx?direct=true&db=e025xna&AN=462608&site=ehost-live. Gogiashvili, Elene. “Alexander of Macedon in Georgian Folktales.” Folklore, vol. 127, no. 2, Aug. 2016, pp. 196-209. EBSCOhost, doi:10.1080/0015587X.2016.1147221. Hagerman, Christopher. “In the Footsteps of the ‘Macedonian Conqueror’: Alexander the Great and British India.” International Journal of the Classical Tradition, vol. 16, no. 3/4, Dec. 2009, pp. 344-392. EBSCOhost, doi:10.1007/s12138-009-0130-6. Hammond, N. G. L. (2011). Army transport in the fifth and fourth centuries. Greek, Roman, and Byzantine Studies, 24(1), 27-31. “Indian Campaign of Alexander the Great.” Wikipedia, Wikimedia Foundation, 23 Sept. 2018, en.wikipedia.org/wiki/Indian_campaign_of_Alexander_the_Great#Aftermath. Kimmich, Flora, et al. “Johann Gustav Droysen: HISTORY OF ALEXANDER THE GREAT.” Transactions of the American Philosophical Society, vol. 102, no. 3, 2012, pp. I-605. JSTOR, JSTOR, www.jstor.org/stable/24395532. Lendering, Jona. “Alexander 2.13-2.16.” Livius, 16 Jan. 2017, http://www.livius.org/articles/person/alexander-the-great/alexander-2.13/. Lendering, Jona. “Map of Alexander’s Indian Campaign.” Livius, 16 Jan. 2017, http://www.livius.org/pictures/a/maps/map-of-alexanders-indian-campaign/. MilHisVis. “Frequently Asked Questions (FAQ).” Military History Visualized – Offical Homepage for the YouTube Channel, Miltary History Visualized, 30 Mar. 2018, militaryhistoryvisualized.com/faq/. MilHisVis. “The Logistics of Alexander the Great.” Military History Visualized – Offical Homepage for the YouTube Channel, Miltary History Visualized, 22 May 2016, militaryhistoryvisualized.com/logistics_alexander_the_great/. Nicomedia, Arrian of. “Alexander in the Gedrosian Desert.” Pliny the Younger – Livius, Livius, 28 Aug. 2016, http://www.livius.org/sources/content/arrian/anabasis/alexander-in-the-gedrosian-desert/. Ptsinari. “Alexander the Great: a Very Competent Expert in Finances.” Archaeology Wiki, Archaeology & Arts, 30 Nov. 2012, http://www.archaeology.wiki/blog/opinion/alexander-the-great-a-very-competent-expert-in-finances/. The coastline of the Indian Ocean and the Persian Gulf from the Indus River (far right) to Susa (top left). The markers indicate known or possible areas noted by Nearchus. Image copied from “Nearchus” page at Livius.org. When Alexander the Great’s troops refused to continue on the Indian campaign, Alexander ordered a fleet built on the Indus river and appointed Nearchus as its admiral. The voyage of the fleet began in September 326 BC (Lendering) and ended at Susa in early 324 (Wikipedia contributors). Along the way, they fought various “barbarian” tribes living along the coast (Arrian, Indica). The fleet consisted of 800 ships, consisting of “ships of war, merchantmen and horse transports, besides others carrying provisions as well as troops” (Arrian, Indica, 363). Nearchus’ fleet ferried about 1/6th of Alexander’s soldiers: 17,000 – 20,000 men total (Lendering). They had to sail very close to the coast in order to find fresh water and food, sometimes stolen from the barbarians they fought, sometimes left for them by Alexander and his troops marching inland (Arrian, Campaigns, 256). Before Nearchus set out, Alexander took some ships down both arms of the Indus river to see which would be easier to sail down. He set down garrisons of grain and supplies and dug wells along the Eastern fork, though according to J. R. Hamilton, Nearchus most likely ended up going down the Western branch (perhaps forced by the barbarian attacks) (503). Some of the fleet was lost to the summer monsoons, a few more ships lost to squalls as they were travelling, and sometimes men were lost in the fights with the coastal barbarians. Though there were a few losses, most of the fleet arrived safely in Susa, where they met with Alexander and the surviving troops and the navy had a great celebration (Arrian, Indica, 429). Arrian. Arrian II: Anabasis of Alexander, Books V-VII. Indica. Trans. P.A. Brunt. Ed. G.P. Goold. Cambridge: Harvard University Press, 1983. Print. Arrian. The Landmark Arrian: The Campaigns of Alexander. Trans. Pamela Mensch. Ed. James Romm. New York: Pantheon Books, 2010. Print. Hamilton, J.R. “The Start of Nearchus’ Voyage.” Historia: Zeitschrift für Alte Geschichte 43.4 (1994): 501-504. Wikipedia contributors. “Nearchus.” Wikipedia, The Free Encyclopedia. Wikipedia, The Free Encyclopedia, 11 Jan. 2012. Web. 9 Feb. 2012. Alexander the Great – The epitome of siege Equipment in the battle of Tyre and a little boasting. Perhaps the most notorious siege of Alexander the Great was that of Tyre in 332 BC. The potential for siege machinery was perhaps first understood by Alexander’s father King Philip, but Alexander likewise saw the benefit for the equipment and better epitomized its use during his campaign against Persia. The use of machinery to besiege cities was made relatively shorter compared to the past where a city was circumscribed by an opposing attacker. (Potter 127). Brief History and Account of the Siege of Tyre given by Arrian. After Alexander the Great was denied permission to enter the city of Tyre and sacrifice to the god Herakles, he considered the consequences to his empire if Tyre was left to their own devices. Therefore, Alexander convinced the generals of the need to capture the threatening Tyre, despite the apparent naval and defensive advantages Tyre held. Tyre had a much larger navy (being a port city) and also was a great defensive stronghold (being an island surrounded by a large wall). (2.18.2-4). Arrian mentions the size of the wall to be “150 feet high and proportionately thick” (2.21.4). Despite these detriments, Alexander was not deterred and found it in his best interest to build a mole or causeway from the Phoenician inland shore to the Island (Arrian, 2.18.2-4). As the construction of the mole became closer to the city, it also drew deeper into the water and eventually the mole and its workers became vulnerable to the ranged ballistic attacks from the wall and the triremes in the Tyrian military. This temporarily halted the construction of the mole as Alexander then ordered his engineers and workers to build two siege towers on the edge of the mole, which would hold equipment designed to counter-fire against the Tyrians. Further, Alexander’s engineers draped the towers with skins as to better shield the workers and provide cover so they could resume their work on the mole (2.18.5-6). In retaliation the Tyrians boarded vessels filled with flammable materials which they deployed against the towers and then set fire to them; thus, destroying the towers and much of the progress of the mole (2.19.1-5). Alexander comprehended that the siege would be futile as long as the Tyrians held the upper hand, therefore, he instructed his engineers to widen the mole and to construct more siege equipment. Alexander then left for the surrounding Phoenician regions to procure reinforcements by claiming dues owed from kings and granting amnesty towards others (2.19.6-2.20.1-8). Alexander amassed a large navy, infantry, and engineers and again returned to the siege of Tyre in approximately 11 days. In a defensive maneuver the Tyrian navy took position in their two harbors one facing Sidon and the other facing Egypt (2.20.7-8). While the Tyrian navy was held at bay, war engines were built and assembled on the mole, horse-transports, and slow sailing triremes. Alexander then had the war machines bought across the mole and started bombardment against the wall. Ships holding siege machinery was halted until large stones could be hauled from the water as they could not get in range for their weapons. (2.21-1-3). Taking countermeasures, the Tyrians attempted to cut the anchors cords away from the triremes moving the stones but were thwarted by the Macedonians who used chains. In a last attempt, the Tyrian navy attacked some empty moored ship destroying a few. However, in return Alexander set up a blockade preventing other Tyrian vessels to make it out of the harbor and the set out to defeating the vessels which had attacked the moored ships (2.21.4-7-22.1-5). The siege equipment at the site of the wall proved to be unsuccessful; therefore, Alexander took the ships holding siege equipment around the island bombarding various points along the wall eventually breaking through. Initially, Alexander attempted to enter the city but was fought back (2.22.6-7). Alexander, waiting two days later, is determined to enter the city. He instructed the siege equipment to fire at the wall for a considerable length of time and then prepared and eventually landed on the island capturing Tyre (2.23.1-6). The End – of the brief history lesson. As stated earlier the battle of Tyre is perhaps one of the most famous sieges of Alexander’s campaign. It is at this battle when we see siege machinery used to break down a wall which surrounds a city as well as the use of battering-rams at sea (Nossov, 40-41). Likewise, this example displays a diverse array of siege equipment including: torsion projectors which fired arrows (katapetai) and stones (litoboloi or petroboloi), as well as battering-rams, and towers in diverse offensive and defensive methods. Diodorus (17.43.1 and 17.45.1-4) goes into more detail regarding the technological innovations introduced by both sides during this siege. Alexander’s engineers devised catapults large enough to hurl stones capable of smashing the Tyrian walls, apparently the first time artillery weapons had been used against fortifications rather than personnel. The Tyrians for their part made cushions out of hides stuffed with seaweed to absorb the impact of the stones, and further warded them off with some sort of wheel-like device that deflected missile fire as it spun around. Phoenicians were famous in antiquity and their engineering skill, so it is not surprising that Alexander recruited much of the local talent into his army or that both sides in the conflict made rapid advances in military technology over the course of the seven-month siege (qtd. in Arian by Mensch, 88). During Alexander’s campaign he included engineers in his baggage train throughout his expedition, as Potter puts it: “Alexander brought experts in siege warfare, katapeltaphetai, with him, and their extraordinary accomplishment at places such as Tyre show that they could construct massive weapons on the spot and improve their technology as the years passed” (Potter, 127). Engles pointed out that in Areia it was clear that the use of carts would be used to transport siege machinery but also engineers would carry tools and supplies required to build equipment (15-17). The ability to build rather than transport siege equipment allowed the army to move swiftly and efficiently, while most likely allowing the equipment to be more reliable and adaptable depending on the situations Alexander and his army found themselves in. Stark examples of this can be obtained through recall of Arrian provides us. * I found some good examples (in my opinion) of some of the siege equipment that would have been used during Alexander’s campaign at http://www.ancientworlds.net/aw/Post/1222743 and some nice images of the battle at http://www.ancientworlds.net/aw/Post/1225046. I have contacted them for permission to use some images but have yet to hear a reply. Professor Payne, maybe if you get a chance to look at these you could tell me if any of them are out of copyright if fall under fair-use. In the interim I hope the class enjoys! Arian. The Landmark Arrian: the campaigns of Alexander a new translation. Trans. Pamela Mensch. Ed. James Romm and Robert B. Strassler. New York: Pantheon Books-Random House, 2010. Engels, Donald W. Alexander the Great and the Logistics of the Macedonian Army. Berkeley: University of California Press, 1978. Image GEOEYE , Google Earth, and ORIONN-ME. 2012 Map. “Harbor of Tyre, Lebanon.” Data Sio, NOAA, U.S. NAVY, NGA, GEBCO. 9 Feb. 2012. 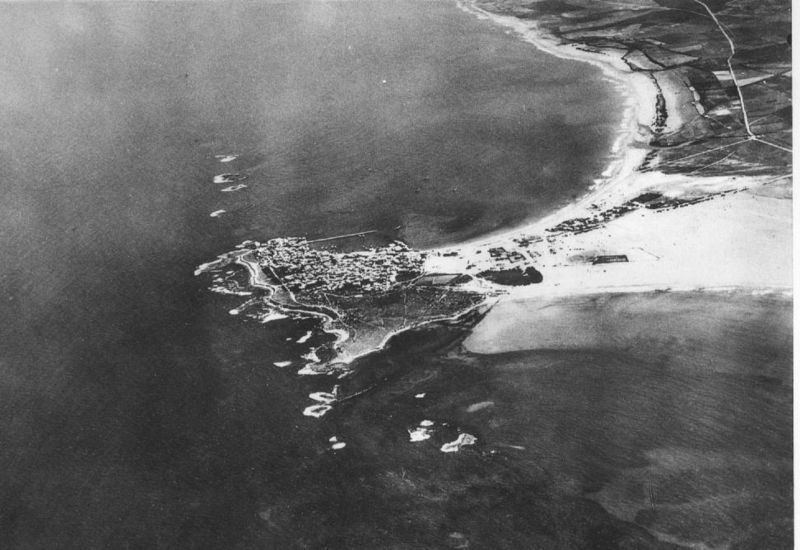 Poidebard, A. UN GRAND PORT DISPARU T Y R RECHERCHES AÉRIENNES ET SOUS-ARINES 1934-1936. 1939. LIBRAIRIE ORIENTALISTE PAUL GEUTHNER 12, RUE VAVIN – PARIS (Vl). 9 Feb. 2012 http://almashriq.hiof.no/general/900/930/933/tyr-poidebard/tyr.html. Potter, David. “Alexander the Great and Hellenistic Warfare.” The Ancient World at War. Ed. Philip de Souza. New York, NY: Thames & Hudson, 2008. 119-38. Nossov, Konstanin. Ancient and Medieval Siege Weapons: A Fully Illustrated Guide to Siege Weapons and Tactics. Guilford: The Lyons Press-The Globe Pequot press, 2005.